Upon opening the package and seeing these gloves, I was shocked what I had seen. I was not expecting the gloves to be so light first of all. 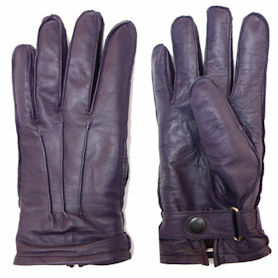 A very durable soft leather with great stitching and very beautiful in color. Warm inner lining that doesn't go overboard and make your hands sweat. Great fit if you order the next size up like I did. Very very beautiful and unlike any other pair of gloves you'll find out there, truly one of a kind.